Over the past two years, as we have planned for the University’s Bicentennial celebrations, we have also begun the work necessary to create a plan for the University as it enters its third century. A university should never look back without also looking forward. Through the work of the board, faculty, administration, and Alumni Council, plans are being developed to increase support for our nationally regarded faculty, for our curriculum and academic programs, for financial aid, for enhancements to our athletics programs, and for major investments in our student residential and social spaces. We are also considering how to improve the appearance and functionality of our campus as well as the ways we can continue to invest in and support the Village of Hamilton. On the one hand, we are all ambitious for Colgate. For too long, Colgate has felt itself to be on the cusp of the short list of the finest national and international colleges and universities. 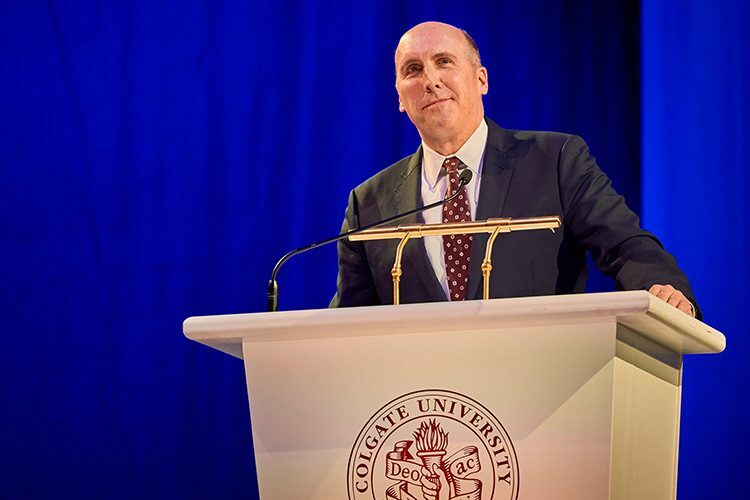 To move firmly into the small ranks of the very best, Colgate must commit itself in a sustained, planned, and deliberate way to achieve excellence in all that it undertakes and must find the resources necessary to maintain such excellence over decades. There are no “overnight successes” in higher education — despite repeated reports of a college or university suddenly becoming “hot” (to use the term used to describe an institution that is suddenly garnering attention and resources). Those colleges and universities we all would consider as having recently moved into the ranks of the truly great did so because they imagined their best version and developed a plan to achieve that vision. These transformations took years, if not decades. 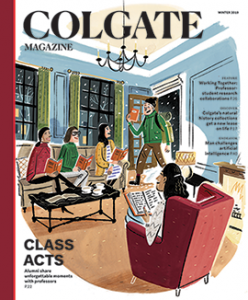 So we are planning Colgate’s future because we all seek that level of reach and regard we have long known the University deserves, or knew it could obtain should it be bold in its ambitions and excellent in its management. But there is another reason we should, now, be ambitious for Colgate, to seek for it an excellence seen at few institutions. That reason is more profound than mere institutional ambition. We seek the best for Colgate because the nation — indeed, the world — is best served when it can rely on excellent colleges and universities that train generations of reasoned and reasonable leaders, where the habits of mind of an informed citizenry are inculcated, and where deliberation and the rigorous pursuit of the truth inform a community. Great nations have great colleges and universities. In times of transformation and, even, turbulence, the nation turns to its great colleges and universities for new generations of leaders, for debate and consideration, and for models of community. Important universities are of their times. Great universities shape their times. As our founders knew when they gathered, the institution of Colgate was to serve the nation through its mission. They knew its reach and social impact was to be concomitant to the excellence with which it took upon its essential acts. They looked beyond their hill. A nation was going to watch them. We, too, must look beyond our hill during the decades ahead. A nation is going to watch us. We should serve as a model for others, showing the nation and the world the ways in which critical thinking and reasoned debate can exist in a supportive environment that acknowledges difference while holding all to the highest intellectual standards. As we plan for Colgate’s third century, at a time of great political turbulence, it is important not only to hope we succeed for the sake of our students, faculty, and alumni; we must also keep in our minds these larger obligations to the commonweal.